With computers, smart phones and tablets now a part of many people’s everyday lives – the Foundation for Senior Care continues to offer both class instruction, and our Fix-It-Fridays. As always, these two long-standing programs are staffed by our skilled volunteer seniors. Our volunteers know their technology and also know how to communicate well with other seniors. One-on-one troubleshooting and problem solving. The learning component of our program includes both classes and workshops conducted by a dedicated staff of senior computer teachers and assistants. Class sizes are kept small so everyone can receive attention. Each session is 2 hours in length and vary from 1 to 4 sessions. 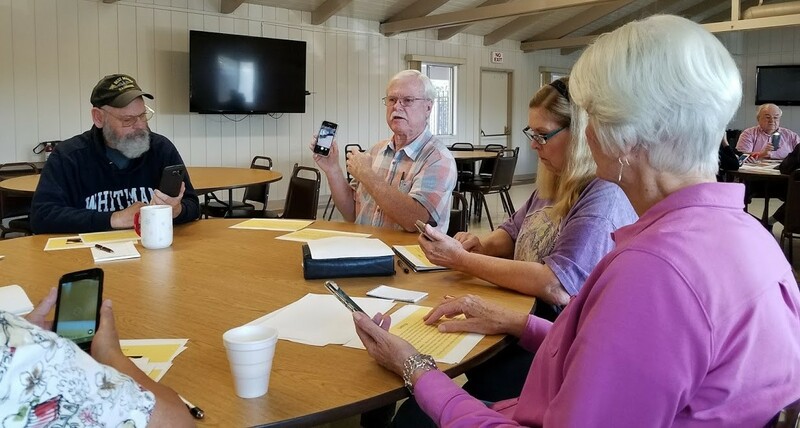 The classes and workshops are held on Mondays and Thursdays at Crestview Estates Club House – located at 1120 E Mission Rd, Fallbrook, CA 92028. This is immediately east of Santa Margarita Drive. Registration for the classes can be either online or at the Foundation for Senior Care front desk. Drop by and pick up a flyer or give us a call at (760) 723-7570. Fix-It Fridays is your resource for solving computer, smart phone, and tablet problems. Every Friday between 1 & 3 pm our volunteer techs are standing by to help you with your computers, tablets, and smartphones (both iPad & Android). Fix-It-Fridays are always one-on-one. No appointment is needed. This is a FREE service – but donations are greatly appreciated. Fix-it Fridays are held at Crestview Estates Club House – located at 1120 E Mission Rd, Fallbrook, CA 92028. New to using Windows 10? Ultimately, the Computer Learning Center is another example of how we try to enrich the lives of seniors in our area. That is our passion, and indeed Our Mission. To learn more about the different services that we offer, we encourage you to explore our website further, or contact our office at your leisure. Fix It Fridays & computer classes are held at Crestview Estates Club House at 1120 Mission Rd, Fallbrook.